So some of you may remember around a year ago I was asking on tips for a Europe trip - a trip which has now been completed. While this trip wasn't a theme-park-focused trip, I did manage to hit up Phantasialand and the two Disneyland Paris parks. So this thread will be used to give my trip reports for each of these parks. I do apologise in advance for the text-heaviness of these trip reports, as I took minimal photos using only my phone's camera. 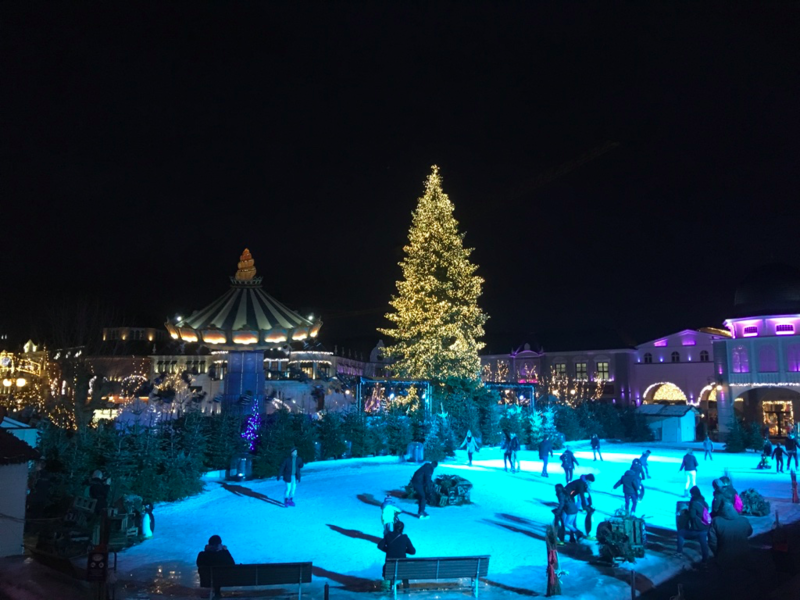 This was the first theme park of the trip, and my first theme park outside of Australia. Since I visited during December, the park was in the middle of its Wintertraum event, which meant a very Christmas-y atmosphere around the park, and the short days resulted in plenty of night rides on some of their coasters. Upon opening I headed straight to Taron, which was unfortunately was suffering from technical difficulties (Intamin seal of quality ). My first ride of the day then became Colorado Adventure, the park's mine train. I was expecting a reasonably tame ride, but was very wrong as this coaster was mayhem from start to finish, throwing you around in the very open trains. Plenty of ejector airtime, and the loose lap bars made it even crazier. What's more, a large portion of this ride is in the dark, making the crazy turns and strong lateral Gs even more unexpected. My favourite part of the rid would definitely be the main drop after the second lift hill. Overall I'd rate this ride 9/10, this was definitely one of the most (pleasantly) surprising coasters of the trip. Next up was Talocan (the park's top spin). For me, this is the definition of a perfect flatride - incredibly forceful, fantastic theming and special effects, great to watch off-ride, and a killer soundtrack. It certainly wouldn't be everyone's cup of tea due to the repeated inversions, but this is definitely my new favourite flat ride. The only problem I have with this ride is that it makes Wipeout a lot more underwhelming now ). 10/10. Feng Ju Palace was my first Mad House, and overall I wasn't too impressed. The mad house concept is very cool but it needs a good storyline to make it a great ride, something this one didn't have. Definitely not the worst ride in the park, but I'd only rate it 4/10. Mystery Castle was my next ride. This is an enclosed shot/drop tower, with a very immersive theme. 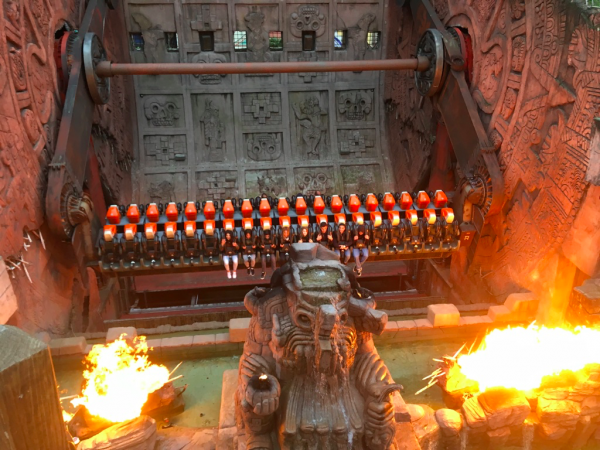 I would've been very happy to queue for a long time for this ride because of how fantastic the queue's theming was (however on the day I visited it was a walk-on). As a tower ride, I didn't find it as forceful as Batwing, but still thought it was a great ride. 9/10. Raik is one of the two coasters in the park's Klugheim area, and is a Vekoma family boomerang. Whilst the theming of this area is top-notch, I didn't really enjoy the coaster. 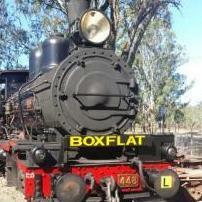 The trains were very restrictive for a tall person like myself, and the ride didn't have too much force. That said it is a kiddie coaster - and does its job as one very well. 5/10. Finally got onto Taron... and initially I was quite disappointed. This ride has been hyped up so much and I was expecting to be blown away. Unfortunately I didn't get that on my first ride, and came off a little underwhelmed. However I found later in the day, this ride became the coaster I was expecting, especially in the front row, or at night. The ride starts with a turn out of the station while the ride's awesome dispatch music plays, before the first launch knocks your breath away. From there, it's a series of very snappy transitions, intense turns, and surprising headchoppers. 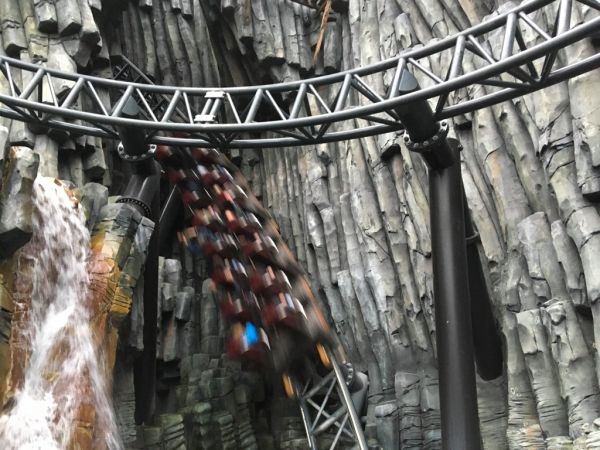 The ride begins to lose its intensity towards the end of the first half, but then the second launch kicks in and you're thrusted to the ride's top speed. The second half of the ride is even more intense than the first. The sensation of speed passing through the buildings and rockwork is amazing. My only disappointment with this ride is the airtime isn't as strong as I was expecting - while the first airtime hill and one or two of the twists provide decent airtime, it's not nearly as intense as DC Rivals' airtime. Additionally, the airtime hill at the end of the ride is completely forceless due to the trims before it, which is really disappointing. Overall, it's truly a fantastic ride and I have certainly joined the Taron fanboys. Definitely something that needs to be ridden at night as it's by far the craziest night ride I've had on a coaster. Unfortunately, it does take some time each day for the ride to get warmed up. I'd rate this coaster 9.5/10 - DC Rivals is still my #1 coaster but this is not very far behind. I then did Das Verruckte Hotel Tartuffe, which is a very entertaining walkthrough/madhouse style of ride (I'd rate it 7/10). After that was Maus au Chocolat, a very well-themed shooting ride. I rode it twice but found it to be a little boring on the second run. Also rate this one 7/10. Next up was Winjas Fear and Force, a pair of Maurer spinners. Heads up - spoilers follow and if you haven't ridden this and are planning to do so sometime in the future, I'd recommend skipping this paragraph. These two coasters are very messed up due to several 'trick track' elements over the course of the two rides. Both use an elevator lift, which tilts you at the top, dropping you straight out of the lift. Additionally, towards the end of the ride the two coasters have a piece of track that tilts you (Fear tilts you forwards, while Force tilts you sideways). Finally, after the break-run, a section of track on each side bounces while you move over it. The main parts of both rides involve a mix of spinning sections and drops/airtime hills. I really enjoyed both sides, although ironically I found the Fear side more forceful, which is why it is my pick of the two. 7.5/10 for Force, and 8/10 for Fear. Temple of the Night Hawk is a very long and dark enclosed rollercoaster, and is known for being a very boring ride - something I can confirm. The entire ride is forceless with very little theming (and the theming that is there is a bit confusing). I didn't find it as bad as some of the reviews I've read made it out to be, but it's something I didn't need to ride again. 4/10. Black Mamba was my first B&M, and I was certainly not disappointed. Smooth, intense, and a really fun ride. The near misses with the rocks and trees makes this ride even more fun. The ride's drop is surprisingly forceful, as is the first loop. The 0-G rolls are a lot of fun. The second half of the ride is mostly made up of turns, helixes and tunnels and isn't as good as the first half, but is still very enjoyable. At night this ride is even better as there is very little lighting around the ride which means it is very hard to see where you are going. My only complaint about this ride is that there is a little bit of headbanging (but it's not too much). 9/10 for this ride, it would be 10/10 if it didn't have the headbanging. I thought I was a little crazy for doing Chiapas in the middle of Europe's freezing winter, but it wasn't actually too bad as you only get a light spray of water. This ride is fantastic - it's something that will make you feel so happy every time you ride (mostly due to the soundtrack). 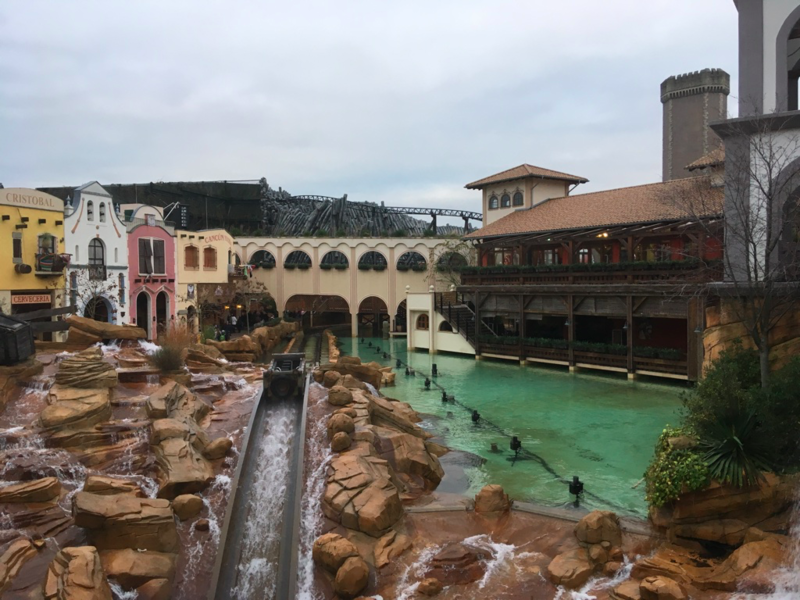 Here I was thinking Wild West Falls is a top notch log flume - but as I discovered it's possible to get a lot better! 10/10 for sure. The rest of the day was mostly re-rides, with Geister Riksca (I think that's how you spell it...) my last new ride of the day. I was the only person I saw on the ride, and I worked out why - this ride was just really, really weird with no storyline whatsoever. 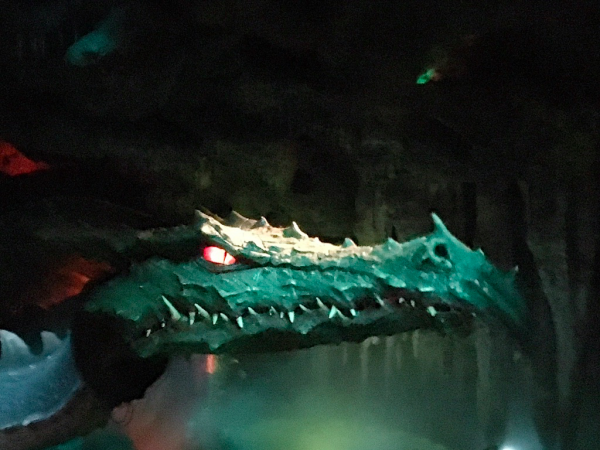 A couple of the scenes were quite cool, but I spent most of the ride wondering how long it would take so I could get back in the queue for Taron. 3/10. Overall, this park is beautiful, with so much quality of theming and detail everywhere you go (expect for maybe Temple of the Night Hawk). I was really impressed that the park had almost all of their rides running during winter (as far as I was aware the only rides that were closed were water rides). I didn't see any of the shows as I preferred to get re-rides on my favourite rides (in total I got 9 rides on Taron, 5 rides on Black Mamba, and 2 rides on most other rides I enjoyed). The crowds were very low when I visited, almost every ride was a walk-on except for Winjas (which were about 5 minutes each) and Taron (which was about 15 minutes - however the single rider was mostly empty which I made the most of). When F.L.Y. opens I'm sure this park will be even more amazing. Very jealous of people like @Coaster Hipster who are able to visit amazing parks like this fairly regularly. Yes Taron I've noted people either love, or think is a let down. It definitely is an achievement with its theming, and tangle of track, and it's awesome how quick the transitions are. I would say that if they had maybe snuck in 4 or 5 airtime moments, it would be a perfect 10. Of course, I'm not one of those ones who thinks the only good coaster is one with a line of -1g hills and nothing else, but in this case they could have balanced the layout better. Looking foward to visiting in April! 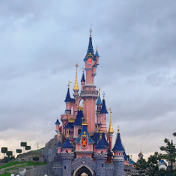 My first Disney park. I have heard only great things about Disney's level of quality, but even after hearing all these stories I was still blown away when I first arrived at the park. I only had one day to see the two parks, which meant I had a lot to squeeze in and had to skip over a lot of things. Even on a relatively quiet day like the one I went on, I found I would've needed at least two, if not three full days to see these parks properly. First ride of the day was Hyperspace Mountain. 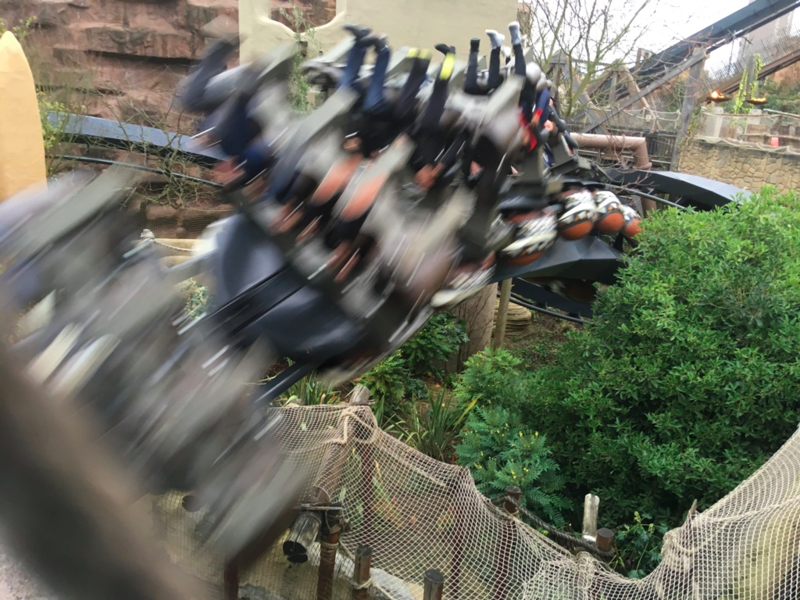 Formerly Space Mountain Mission 2, this ride underwent a pretty major refurbishment earlier this year, receiving new Vekoma trains with vest restraints (the same as HWSW) and a retheme to Star Wars. The ride isn't super fast or intense (apart from the launch and inversions its mostly just a few banked turns) but what really makes this ride are the projections inside the show building. 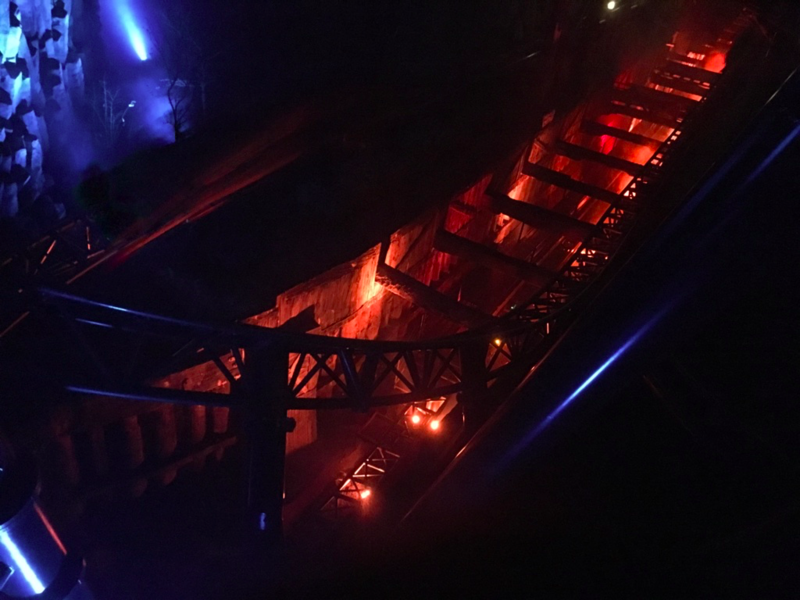 It proves how much a basic ride can be elevated using theming and lighting effects (I'd love to see Phanta do something similar to Temple of the Night Hawk). If this was a standalone outdoor coaster with no theming, it would be a very ordinary ride (probably not much better than HWSW), but with the theming and effects it's definitely a top 10 coaster for me (although that doesn't really mean too much with the few coasters I've ridden). I'd rate this ride 8.5/10. Next up was Star Tours (using Disney's incredible FastPass system), which was also recently refurbished to make the upgrade to The Adventures Continue. Just... wow. POVs don't do this ride any justice, the movements of the simulator feel so real and everything is synced perfectly. Impressed that they even had scenes from The Last Jedi (which hadn't even been released at the time I was there). A 10/10 ride, definitely, wish I did it more than once. Headed over to the other side of the park and grabbed a FP for Big Thunder Mountain. Did Phantom Manor while I was over there - a very cool dark ride with some awesome effects. Unfortunately the stoppages of the ride do ruin it a little bit, especially if you happen to stop in one of the more dull scenes. 8/10. Indiana Jones and the Temple of Peril was next. I have one word to describe this - ow. This ride doesn't belong in a Disney park. The only decent part of the ride is the loop, which is surprisingly forceful. The rest is just headbanging and pain. 2/10. 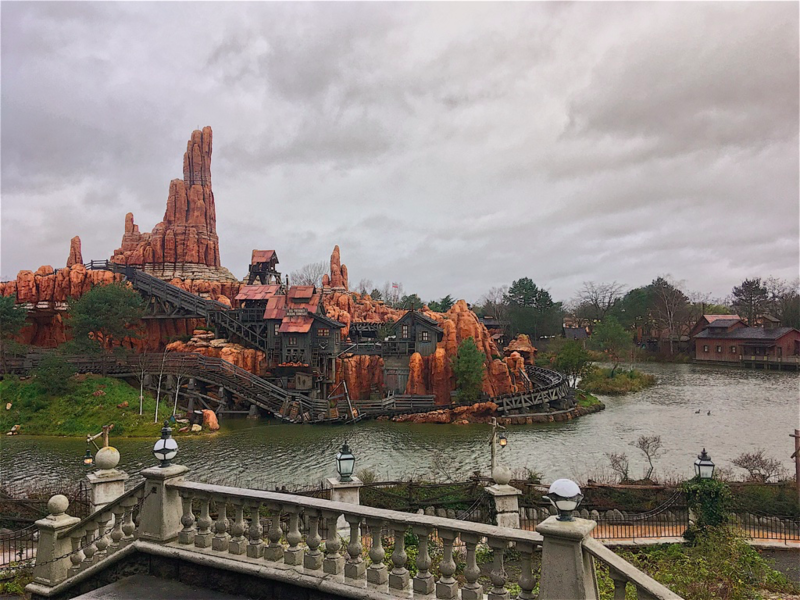 The FP timeslot for Big Thunder Mountain rolled around so I did that next. Honestly a little underwhelmed by this ride. The theming is fantastic, but I found the actual coaster a little dull. The only part of the ride I really enjoyed was the last section in the dark. I was pretty close to the front of the train though and I assume the back seat would be a lot more wild. I know it's been said on these forums before, but WWF needs effects similar to that last lift hill (youtube it if you don't know what I'm talking about). 7/10 (and that's mostly because of the theming, would be a lot lower without it). The last ride I did in this park was Pirates of the Caribbean, and I was once again very impressed. So much fantastic theming and effects on this ride, and a pretty decent storyline. My socks did get a little wet, but that's half the fun (in fact, this happened when we rolled off the lift hill, neither of the drops really wet you at all). 10/10. I just want to make a comment on how little things in a park can really take it to the next level. 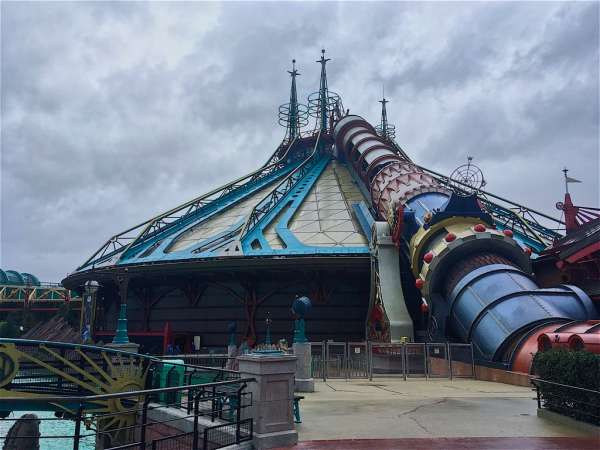 I did spend some time walking around the park soaking up the atmosphere, and two little attractions I stumbled across were the Nautilus and La Taniere du Dragon. The Nautilus is a small little underground walkthrough that is pretty easy to miss, but a nice little place to spend 5 minutes passing through. The dragon is unique to DLP's castle and contains a very impressive animatronic dragon. It's one of the tiny features that makes the place so magical. 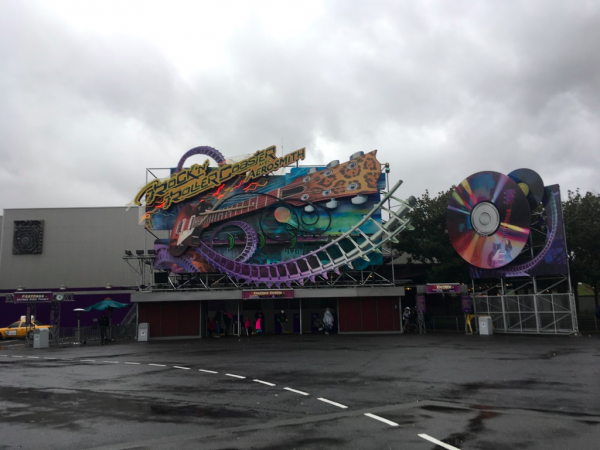 I'm going to throw my review of Walt Disney Studios in a separate post, because the feel of the park is completely different (spoilers: it's not a good different either). that's mostly because of the theming, would be a lot lower without it). This is pretty much the case with a lot of Disney. Their attractions aren't all mind-blowing stuff on their own, it's what they do to it. 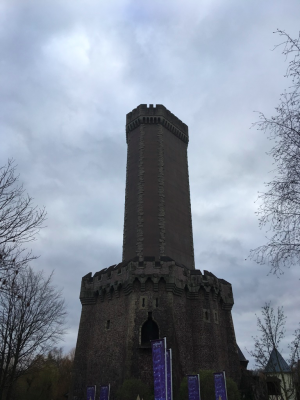 It is something our local parks just simply wouldn't have the budget for, but if they were to aspire to this - keep some of those little touches operating, and inserting new ones 'just because' it would up their game considerably. I was the opposite on Big Thunder Mountain. Not the wildest coaster out there, but the story line was great and obvious. The tunnel at each end was a nice touch, especially from a passer by perspective as the train charged out of the tunnel into the final brakes. The back was more wild as you suggested. It was still Space Mountain: Mission 2 on my two visits, I liked the dip before the launch and the launch itself. The rest was too dark too quickly to adjust too, and the brakes sucked, worse than Lethal Weapon. Except that time we shot through them into the emergency brakes. The primary ones where gentle on that run, the emergencies really sucked! Got bashed around like a Vekoma too. 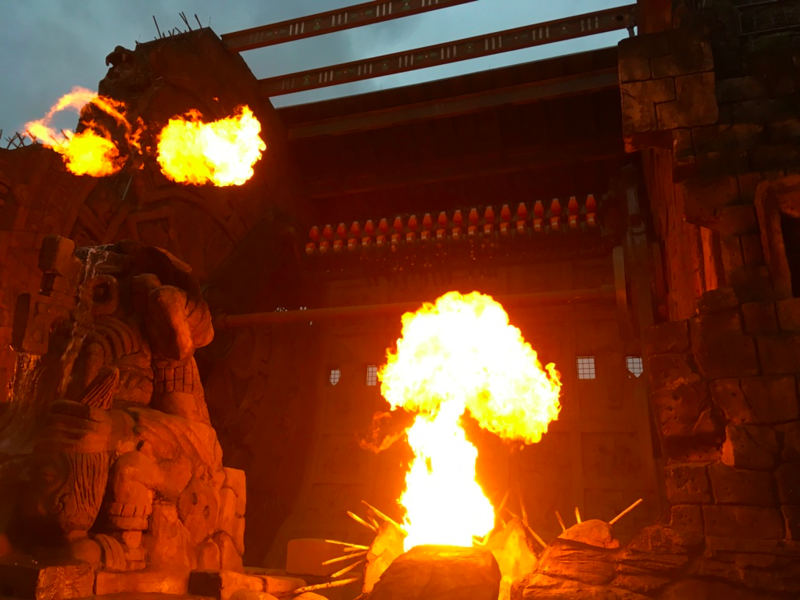 Indiana Jones and the Temple of Peril is nothing special. Watching the loop from the queue was a little unnerving as it moves quite a lot as a car goes through (or did back then 2008 & 2010). I'm interested to see your thoughts on Rock 'n' Roller Coaster & the Car show if you got the time to see it. This park is nothing like what's next door: it's a very ugly park and our parks are a lot prettier than this one. Apart from ToT and the France area of the park, it's basically a bunch of sheds sitting next to eachother. Basically what you'd get if MW took away all its theming and greenery. That said, despite the poor appearance of the park, it does contain four great rides (Ratatouille, ToT, Crush's Coaster and RnRC). 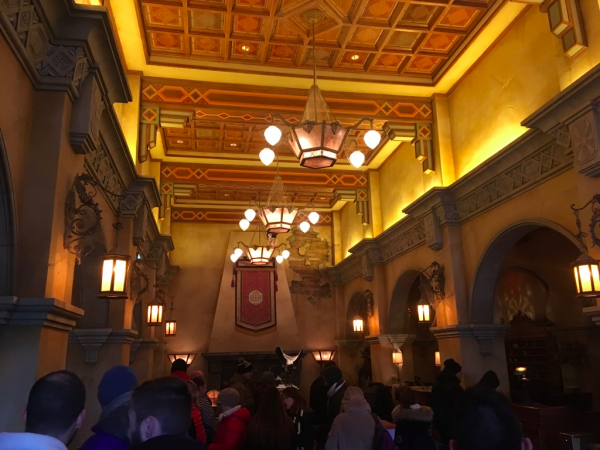 Ratatouille was a 70 minute wait, but luckily the single rider queue was basically a walk-on. This is a very good dark ride - great 3D scenes and the trackless technology is really cool. 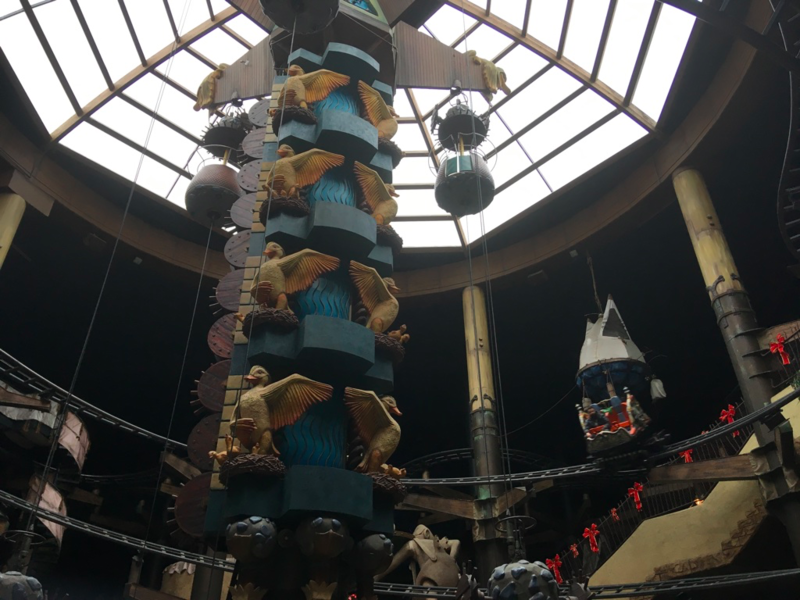 My only complaint about this ride is that some of the effects were mistimed a little, which sorta ruined the magic - for example we started spinning slightly before we were "hit" by the mop, and the champagne water splash was slightly out of sync with the video too. It's not a perfect dark ride, but still Disney-level quality. 7.5/10. Tower of Terror was the ride I was looking forward to the most in this park, and it did not disappoint (probably my favourite ride out of the two Disney parks). A great theme (even if the narration was in French), and a ton of airtime. It's not really that forceful, but it's such a fun ride. 10/10. Crush's Coaster is a pretty low-capacity ride for Disney standards, so had a long wait all day (even through the single rider queue). It is a fantastic coaster though, and surprisingly intense in some sections. The theming and lighting inside sets a great atmosphere too. Pity the queue was so long because I would've liked to ride this one again. 8.5/10. Rock n Roller Coaster is definitely the most intense ride at the two parks. The ride layout isn't too dissimilar from Hyperspace Mountain - a launch, a few inversions, but mostly just turns in the dark. I'd really like to ride Xpress Platform 13 at Walibi Holland (which is a clone of the ride) to see how it compares without the lighting and soundtrack. For an older Vekoma with OTSRs, I was surprised to find this ride as smooth as it is, with very minimal headbanging. 8.5/10. Unfortunately I didn't get to see the car show (would've been interesting to see a car show that was actually good) or experience the tram tour (which was closed all day). RC Racer was a walk-on, so I did it quickly for the credit - no different to surfrider really, just no spinning seats. 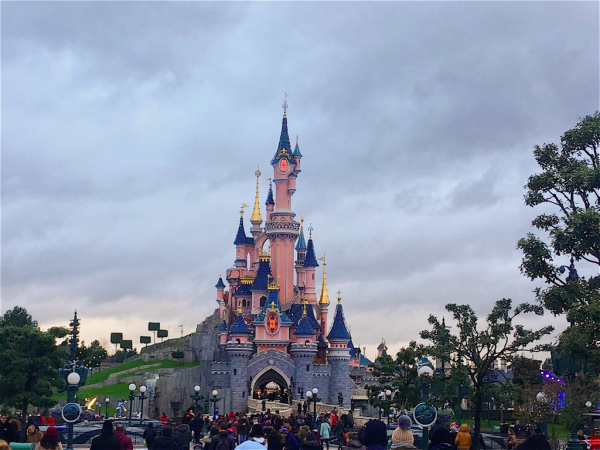 Really looking forward to seeing some more Disney parks in the years to come, and definitely planning on spending a few days wherever I go next time. Doesn't Hyperspace have an uphill launch, Sidewinder, corkscrew and a cutback. Whereas RNRC has a flat launch, sea serpent roll and corkscrew?